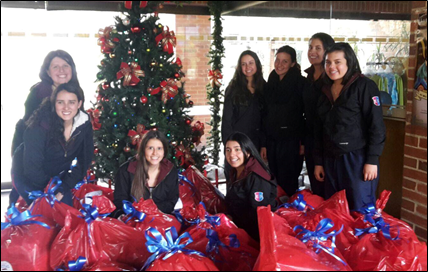 Knightsbridge Schools International Bogotá (KSI-Bogotá) is an international day school for boys and girls age 3-18. KSI-Bogotá is part of a global family of international schools providing a 21st century international education in a variety of exciting global locations (Bogotá, Montenegro, Turkey, Portugal, Switzerland and Panama), for our learners aged 3 – 18. Over 200 Our philosophy and values are built from the success of Knightsbridge School in London. We provide a bilingual English and Spanish education, offering our students a challenging and rewarding educational setting. All students, teachers and staff work together to create a strong KSI family. We aim for our learners to have the opportunity to study at a university of their choice anywhere in the world. Therefore, we are fully committed to the implementation of the International Baccalaureate (IB) programmes. 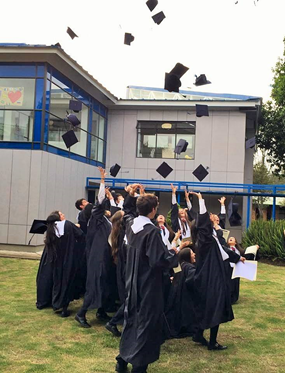 Currently, students at KSI-Bogotá also have the opportunity to graduate with the Colombian Ministry of Education Diploma, US High School Diploma, and IB Diploma Programme. 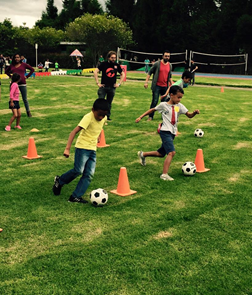 In addition to KSI-Bogota’s own provision, KSI has as part of its family a Learning and Psychology Centre and a KidS nursery offering play-based learning located near Rosales in the heart of Bogotá. Both run by separate and highly respected Directors. 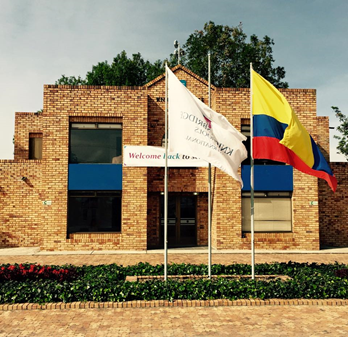 We have over 200 students, from Kinder to Year 13, most of whom are Colombian. We have a strong and committed staff team totaling over 70, approximately half of whom are classroom based. KSI-Bogotá is founded on the principles of global citizenship, as a member of a global network of schools, with a proud history and heritage of academic excellence in all aspects of international education. 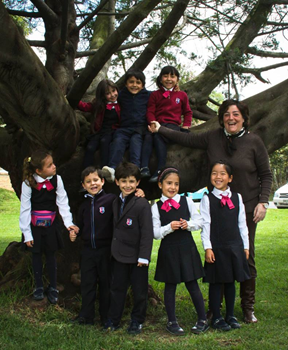 The school was established in September 2012 on the former site of Colegio La Candelaria. The school is governed by a local board which includes Rosemarie Mooney and Annie Acevedo Rosemarie was formerly a member of the Board of Directors of Colegio Nueva Granada and since then runs her own educational travel enterprise. Annie is a prominent child and family psychologist with a high profile media presence in Colombia and an international reputation as a speaker on Learning and the Brain, Learning Problems, Parenting, Happiness and Bullying. Knightsbridge Schools International -- educates a community of global citizens by providing them with opportunities to be all they can be and inspiring them to make a positive difference in a changing world. The Director of School reports to the Executive Director and will work collaboratively with all members of the KSI Executive Team to ensure the effective operation of the school, commitment to our core values and the realisation of our Knightsbridge Schools’ educational aims, mission and vision for learners. The post holder is required to sign his/her individual job description at the beginning of each academic year as part of the performance appraisal process. He/she is responsible for creating a professional growth plan and collecting evidence to demonstrate how he/she is performing in relationship to the school’s guiding principles, strategic plan and core competencies /key performance indicators outlined in this job description. In the interest of identifying the best candidates for this position the KSI-Bogotá has selected Search Associates to assist in this process. The deadline for applications is October 28, 2016. Candidates are asked to submit a letter of interest and the requested materials listed below as early as possible as the Search Committee reserves the right to close the selection process at any time if the right candidate is found. Semifinalist candidates will be identified by Search Associates and their dossiers forwarded to the Search Committee for review. On-line / Skype interviews will be arranged with the intention of completing the selection of finalists by November 4, 2016 or before. The review of candidates will begin as soon as applications are received. The Search Committee will identify 2-3 finalists as early in the process as possible. Finalist candidates together with his/her spouse (if applicable) will be invited to visit the school in November and will meet with the Search Committee, faculty, parents, students and other constituent groups during the visit. The new Director will be selected after the conclusion of the site visit(s). The new Director will begin in August 2017. A letter of application, explaining your strengths as a candidate and why you are interested in the Director position at KSI-Bogotá.